We are accepting new patients. We prefer that new patients are referred by primary care physicians, family physicians or other health professionals. However, self-referrals or referrals made by friends and relatives are always welcome. Please click on the Scheduling Appointment link for further instructions. AllCare Rheumatology practice hours are 8.30 am to 5 pm, Monday thru Friday. Beginning July 1, 2018 we will begin a four day per week schedule, Monday through Thursday, 7:30 am to 5:00 pm. AllCare’s mission is to provide patients with the highest quality care that is ethical and compassionate; to meet the unmet need for rheumatological care in Hamilton County, Indiana and the surrounding counties; and, to help patients become more functional, overcome their disabilities and have normal lives. Dr. Tran is board certified in Rheumatology by the American Board of Medical Specialties. She is a member of the American College of Rheumatology and of the Indiana State Medical Society. 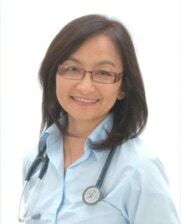 Dr. Tran graduated from the United Medical and Dental schools of Guy’s and St. Thomas’s hospitals, University of London, England (United Kingdom) in 1994. She came to the United States in 1996 and complete her residency in Internal Medicine from the Medical College of Wisconsin in 1999. She practices as a Hospitalist for two years, then worked as a research fellow at Duke University. She entered the fellowship program in Rheumatology at Duke in 2003 and graduated in 2005. Prior to entering her own private practice, Dr. Tran had practiced in two private rheumatology practices while living in Florida. Most recently, she practiced within the St. Vincent health system since she moved to Indiana in 2008. Dr. Tran performs joint injections including viscosupplementation therapy for knee osteoarthritis, trigger point injections and tendon sheath injections. She also provides in office infusion of biologic therapeutic agents.